As of 2:25 p.m., The football game between Ashland High School vs. Klamath Union High School will now be played on Saturday at Lakeview High School, kick off is at 3:00 p.m.
Gilchrist School K-12 and Bonanza Jr./Sr. High School has been canceled. Varsity football game between Henley High School and Cascade Christian High School will be held in Lakeview at 7:00 p.m.
Lost River Jr./Sr. High School and LaPine High School (at La Pine) will continue as scheduled at 7:00 p.m.
Medford School District 549c cancels Friday's opening football game at Spiegeberd Stadium due poor air quality conditions. 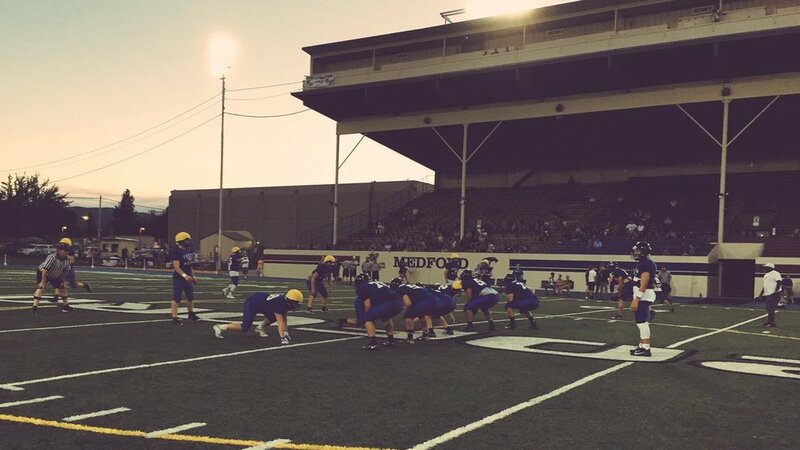 South Medford High school varsity football team will now travel to Wilsonville to play. “Wilsonville was generous in hosting us and making the switch. We are grateful, “said South Medford High School Athletic Director Tim Rupp. The Medford High School District will continue to monitor air quality and following guidelines for holding outdoor activities by OSAA and the Oregon Health Authority.